mucho action on the sun-times video of the murder of laquan mcdonald — Welcome to the Dictionary of Indescribable Feelings. 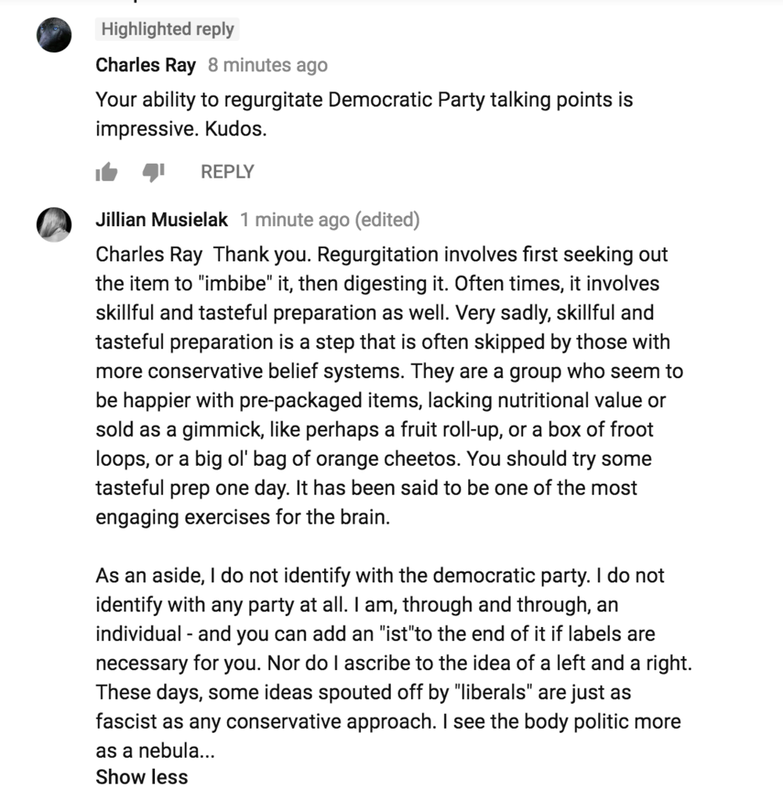 With all this time on my hands, and with no social media, except of course for YouTube which I think technically is social media, I find myself spending an inordinate amount of time commenting on videos. I’ve discussed with my therapist my anxieties about the state of identity politics in the US. I’ve discussed this with her A LOT and, as not only a well educated and unduly wise woman, but one of color, her insights are always transformative for me. In some ways, I do feel like I can do my part on YouTube even though, yes, most of the commenters are clods who seem to put little to no effort in their own comments. But, perhaps, in my placid fact-laden (and sometimes, as in this case, satire filled) replies to some of their reactive posts, they may find a mite of empathy to tickle their hearts or a speck of hopeful light from under the closed door of their minds. Click the image to be taken to the thread. That is if you can stomach watching Laquan McDonald being murdered. I only watched it because I became engaged in a heated argument about it with someone and wanted to see the blaring facts myself. I do not like to watch videos of excessive force on the part of the police as a past victim of it. I am also conscious of the normalization of police violence by being exposed to it too often throught the media.